Fruit Cocktail Cake Balls - Fruit Cocktail Cake Truffles no Cream Cheese! This ain’t your grandma’s fruit cocktail dump cake, these fruit cocktail cake balls are moist, studded with fruit and toasted pecans, and mixed with a sweet frost to make cake balls that require no cream cheese! What is fruit cocktail cake? Are you thinking I have this can in my pantry but what can I make with fruit cocktail? Besides just eating it out of the can or donating it at your kid’s school canned food drive. You can make these delicious fruit cocktail cake balls that don’t require cream cheese! Just like some many other grandmothers, mine always had canned peaches, pears, and fruit cocktail in the pantry. So many times she served it as a “salad” or in a fancy glass as dessert, but what else can you make with fruit cocktail? A cake is an easy dessert to make and I grew up where dessert was served after every dinner. Fruit Cocktail Cake made frequent appearances because it was inexpensive and we always had the ingredients on hand. Just take me to the Fruit Cocktail Cake Balls Recipe Already! 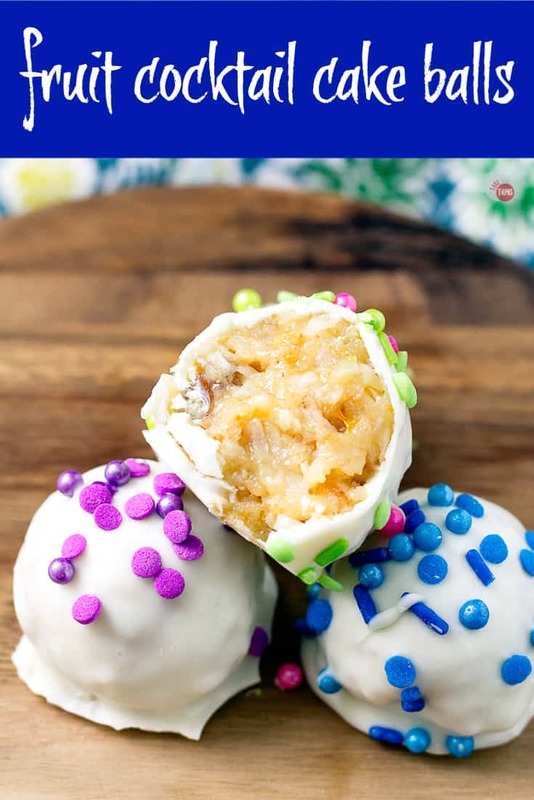 If you’d rather skip my (very helpful, I think) tips and tricks, essential cooking info, and similar recipe ideas – and get straight to this delicious easy fruit cocktail cake balls recipe – simply scroll to the bottom of the page where you can find the printable recipe card. Just like a dump cake, the fruit cocktail cake batter was simple to put together. Flour, baking powder, sugar, eggs, and fruit cocktail. Combine these and pour into a prepared cake pan. I like to use parchment paper for mine because it makes removing the cake that much easier. Bake the cake until done. Because the cake is so moist, I test the cake with a toothpick and as long as there are only a few crumbs stuck to it I count it as done. If there is runny batter, cook it some more. The fruit cocktail keeps the cake moist, adds texture, and is studded with pretty colors from the fruit bits. The cake part of the fruit cocktail cake is delicious but the star of the show is the icing. Coconut, pecans, sugar, milk, and butter are simmered until the sugar is dissolved and then poured over the warm cake. What’s not to like? There is some debate as to whether the milk is evaporated milk or sweetened condensed milk. Most use the evaporated form but I use the sweetened condensed milk for two reasons. The sweetened condensed milk is something I have on hand all the time and not evaporated milk. Using condensed milk allows you to leave out the cream cheese when making the cake balls. The icing is a great topping for this moist cake but mixed into the cake it is even better. Once the cake and the icing have completely cooled, use your hands or a mixer to crumble and mix it all together. The mixture hold together nicely and you don’t need to add cream cheese! Roll or scoop into 1 inch balls and freeze for 15 minutes to set. Serve the Fruit Cocktail Cake Balls like this or dip them in white chocolate and decorate with colored sprinkles to match your occasion! Q: How long will the fruit cocktail cake balls last? A: Up to 4 days in an airtight container. Q: Do I need to keep the cake balls refrigerated? A: No you don’t but you can. Just remember that when you remove them from the fridge they might get condensation on the outside which could affect your chocolate coating and cause the sprinkle colors to run. Q: Can I freeze the cake balls? A: Yes you can, for up to 1 month but remember that condensation will form once you thaw them and cause your colors to run so you might want to keep them stored in the fridge until ready to eat. Q: Can I use dark or milk chocolate to dip the cake balls in? 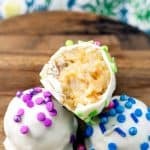 Other great Cake Ball recipes to try! Looking for a delicious dip to take to a party you’ve been invited to? How about a quick appetizer you can make ahead of time for a get-together that you are hosting and are already stressed to the max? Check out all my cheese ball recipes, both sweet and savory, to fit your special occasion! If you love this Fruit Cocktail Cake Balls Recipe as much as I do, please write a five-star review in the comment section below (or on Pinterest with the “tried it” button – you can now add pictures into reviews, too! ), and be sure to help me share on facebook! 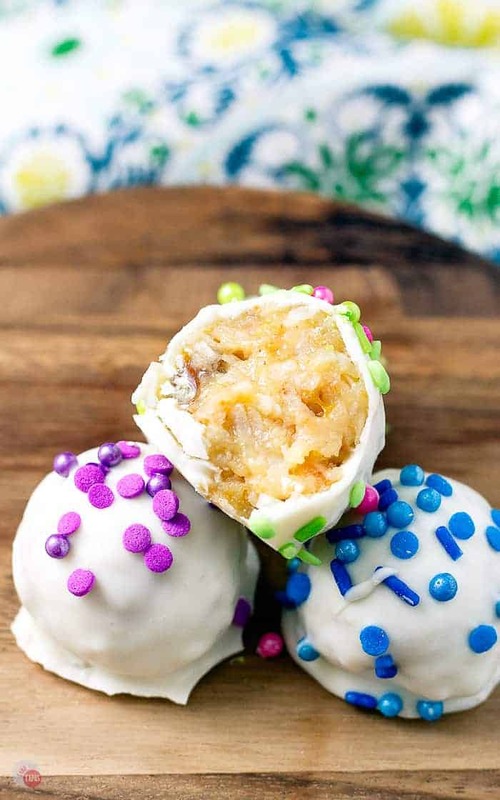 These fruit cocktail cake balls are moist, full of fruit and toasted pecans, and mixed with sweet frosting to make cake balls that require no cream cheese! Combine the flour, baking powder, sugar, eggs, and fruit cocktail. Mix and pour into a parchment-lined baking pan. Bake at 250F for 45 minutes or until a tooth pick poked in the middle of the cake comes out clean. 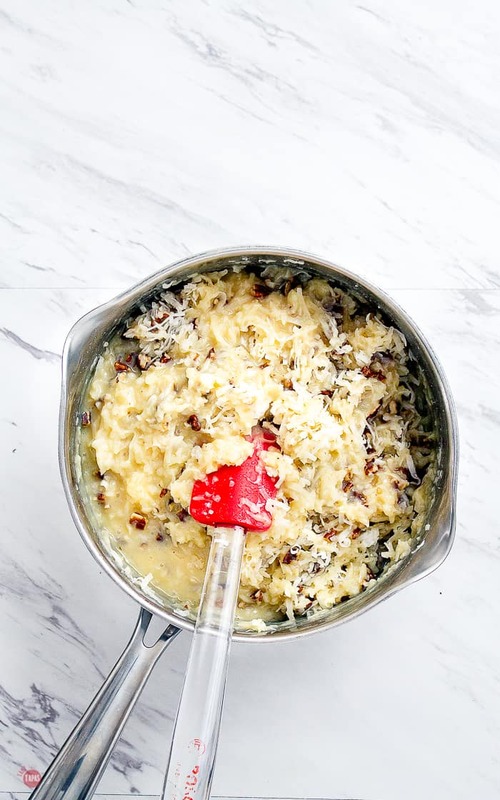 In a medium-sized sauce pan, add the butter, sugar, coconut flakes, toasted pecans, and sweetened condensed milk. Heat over medium heat until warm all the way through then reduce to heat to low or simmer and let simmer until the sugar is dissolved. Keep warm until the cake is done. When the cake is done baking, remove from the oven and immediately poke holes all over the cake using a wide utensil handle. I use the handle of a wood cooking spoon. Pour the warm icing over the top of the cake and use a spoon or spatula to spread it evenly. Once the cake and icing completely cool, remove the cake from the pan and add to a mixing bowl. Using your hands or a mixer, crumble the cake and icing together to form a “sticky” dough. 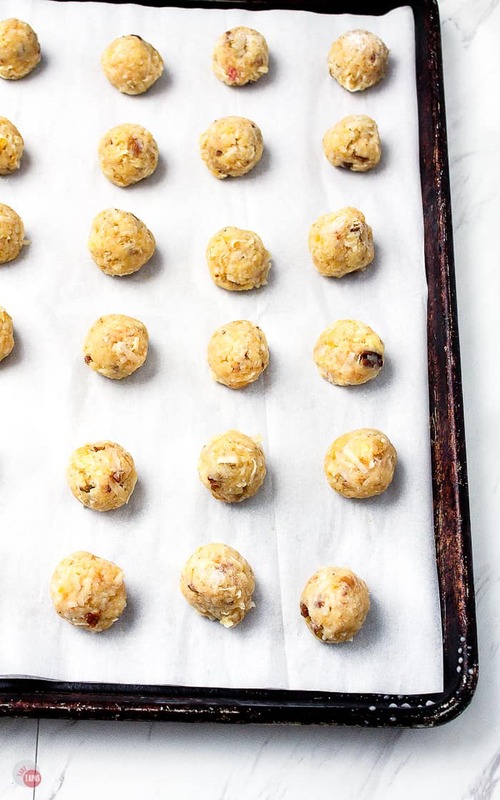 Using your hands or a scoop, make 1-inch balls and place on a parchment-lined baking sheet. Roll in your hands to make them as smooth as possible. Freeze for 15 minutes to set. While your cake balls are freezing, melt your chocolate. Remove your cake balls from the freezer, and dip them in the chocolate to coat them. Add some fun sprinkles if you want while the chocolate is still melted or tacky. Chill the cake balls in the fridge to set the chocolate if desired. Store in an airtight container at room temperature or serve immediately. 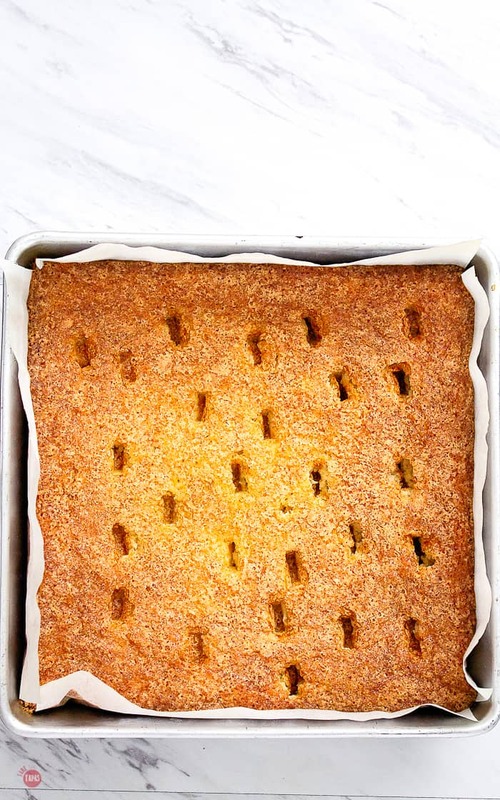 I used a 10×10 cake pan but you can also use a 9×13 pan. Baking times may vary when you change the size of the cake pan. You always have the most clever ideas on how to make something old new and fresh!! These are so fun!! Taking them to a super bowl party this weekend, thank you! Who doesn’t like cake balls? I’m sure that this version is tender and delicious. And yeah for sprinkles! What a tasty way to enjoy fruit cocktail. I have to say this updated version is way better than the traditional recipe. The chocolate coating is amazing! Yaaass! I love cake balls, and needed a new recipe. The kids and I absolutely loved these, and devoured them! These Fruit Cocktail Cake Balls are such a fun recipe to make with the kiddos!! These Fruit Cocktail Cake Balls are such a fun recipe to make with with kiddos!!! I love the fun of cake balls! And you’ve upped the flavor with a fruit cocktail! Yum! These were so good! 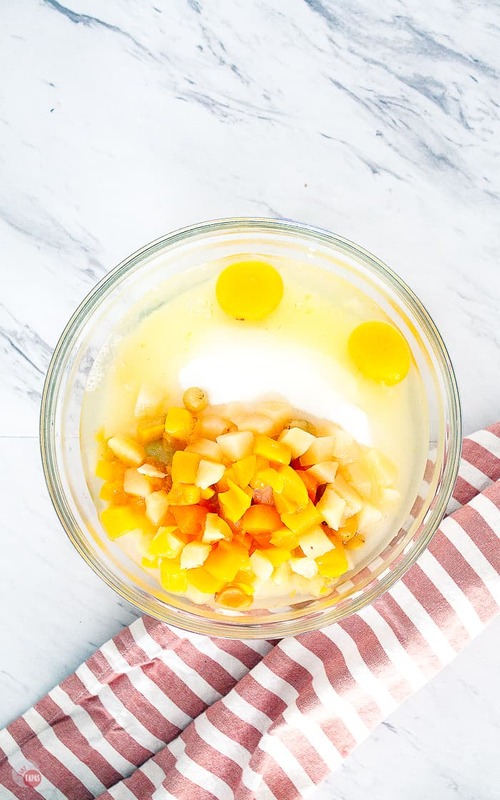 Who knew you could use fruit cocktail to make such a satisfying, fun dessert! These were amaze-balls! Seriously so moist, but perfectly coated! Best way to eat fruit cocktail ever! !